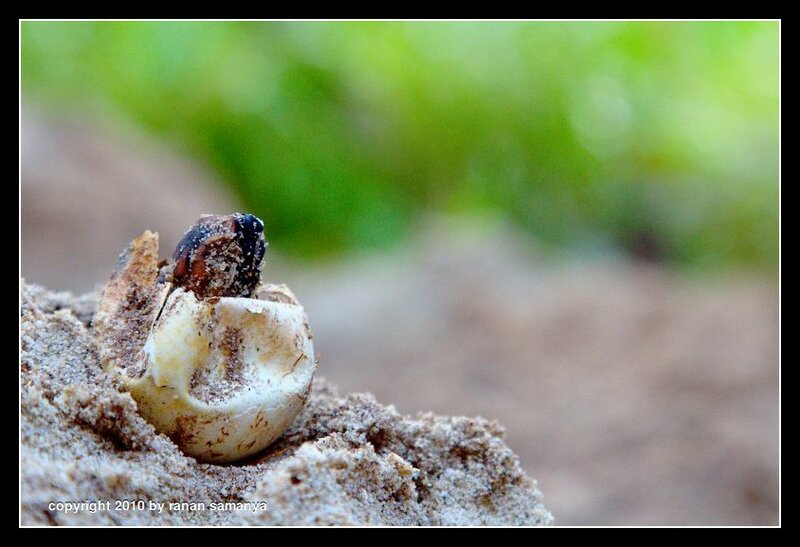 Pipping is a process by which a turtle hatchling breaks free from the egg shell. The process can take almost one day, as subsequent to pipping, hatchlings remain within the egg chamber to retract the remaining external undigested yolk through the umbilicus into the body cavity. spent in the nest after hatching makes the hatchlings vulnerable to attack from insect larvae that may be nearby, and may cause death to the hatchlings. Pictured above is an example of such condition in a hawksbill turtle.